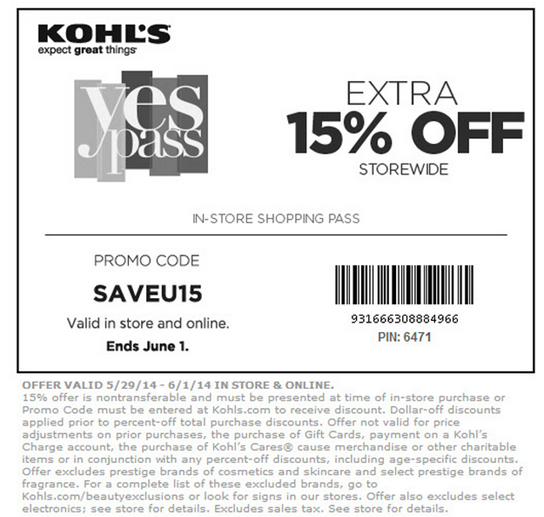 Kohl's $10 Off $30 And $15% Off Storewide! You are here: Home / Great Deals / Kohl’s $10 Off $30 And $15% Off Storewide! 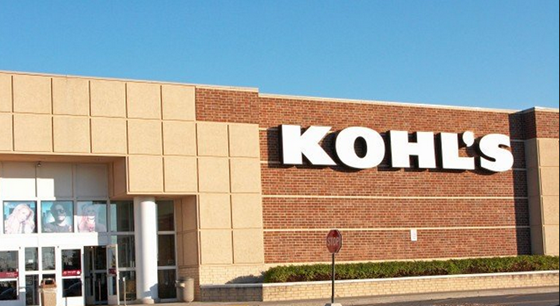 Kohl’s $10 Off $30 And $15% Off Storewide! Kohl’s is having a couple of good sales right now! You can get 15% extra off storewide and/or $10 off $30 or more on Men’s Apparel, Accessories, and luggage! 15% off is good thru 6/1/14 – print to use in-store or use code: SAVEU15 at checkout to get yours online! 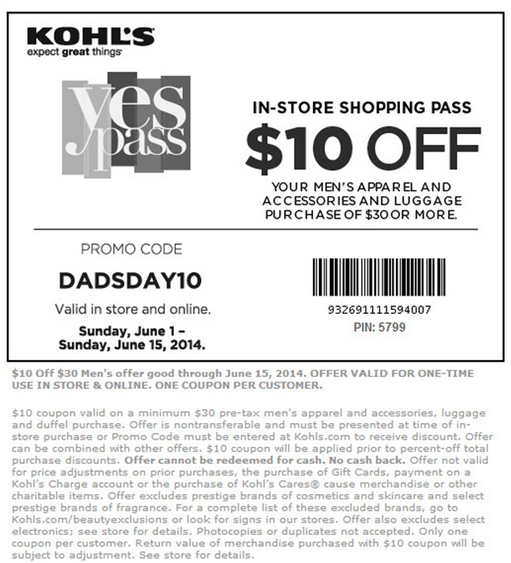 For your $10 off $30, beginning 6/1/14 – 6/15/14 – just print the coupon below to use in-store or use code: DADSDAY10 at checkout to get yours online! Offers good online or in-store.